Reinvent Your Test Strategy By RiskStorming With TestSphere. 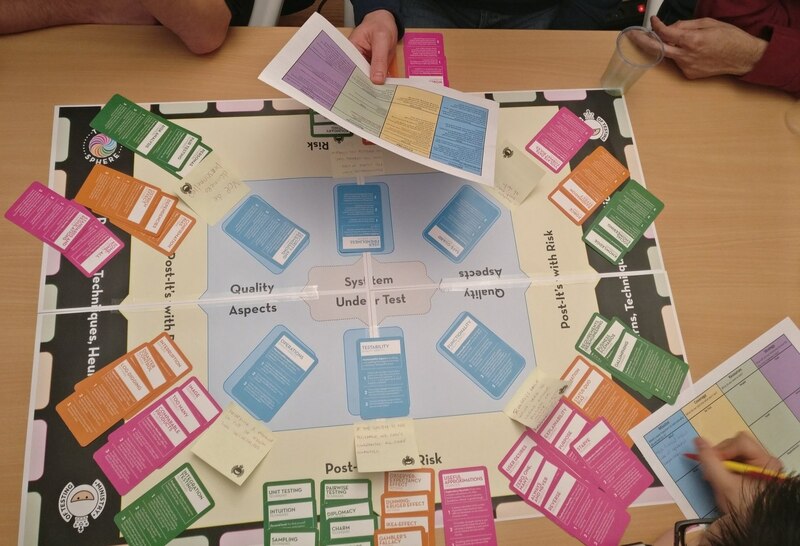 Riskstorming is a collaborative, strategic board game that focuses on identifying how to test risks that impact the imperative quality aspects of your product. Which quality aspects matter most for your product? Which risks endanger those quality aspects? How do we test to make sure those risks don’t happen? TestSphere cards - Get your deck! Watch this video to find out all you need to know to run your own RiskStorming session. Is There A RiskStorming Workshop? Funny you should ask! Yes, there is. Currently, there is a half-day workshop being run by software testing and teaching masters around the world. You can book an MoT master to come to your workplace or Meetup where they’ll help you reinvent your test strategy.